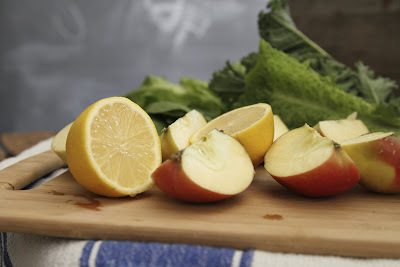 One of my attempts for fighting winter has been juicing. That freshness, the kick of color, and use of so many good veggies at once could almost trick you into thinking its summer. My juice of choice right now is spinach, romaine, kale, celery, apple, lemon and ginger. The apartment smells like a farmer's market when I'm done. 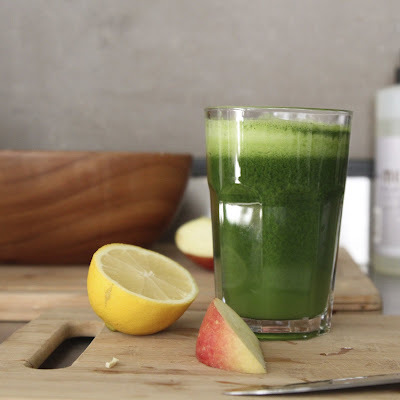 And if you're a fan of green juices like I am, you will love this combination. It's most certainly a nutrient rich leg up for the day ! I found the original here, and threw the ginger in because whether its sushi, candy, or juice -- too much ginger is never enough. Heeaayyy Mama I miss you ! !